If you want to travel to this island in the near future, you’re probably looking for a complete tourist guide in order to discover the best places on your holidays in one of the most beautiful corners of the Atlantic. Tourism in Gran Canaria can be very different to what you expected! The truth is that the whole Canarian archipelago is full of spots that will surprise you and leave a pleasant memory of a trip that, surely, you want to repeat. What makes Gran Canaria unique is its diversity, largely due to its orography. This has caused an infinite succession of landscapes and microclimates that give rise to an extensive variety of endemic flora and fauna. Gran Canaria is the ideal place to fill your holidays with sensational experiences while you explore the best corners of the island. We recommend that, during your holidays, you enjoy the impressive versatility of this island which will not only offer you beaches and sun, but also many excursions to understand what it means to go sightseeing in Gran Canaria when visiting each of its natural monuments. The beaches are probably the most characteristic thing if you think about tourism in Gran Canaria. Its paradisiacal coastline bathed in blonde sand has long attracted thousands of visitors who come to Gran Canaria in order to enjoy one of the best climates in the world. A sea of golden sand that will surprise you as you walk through a desert scenery next to the fresh Atlantic Ocean. This impressive corner is located, as its name indicates, in the town of Maspalomas in southern Gran Canaria. 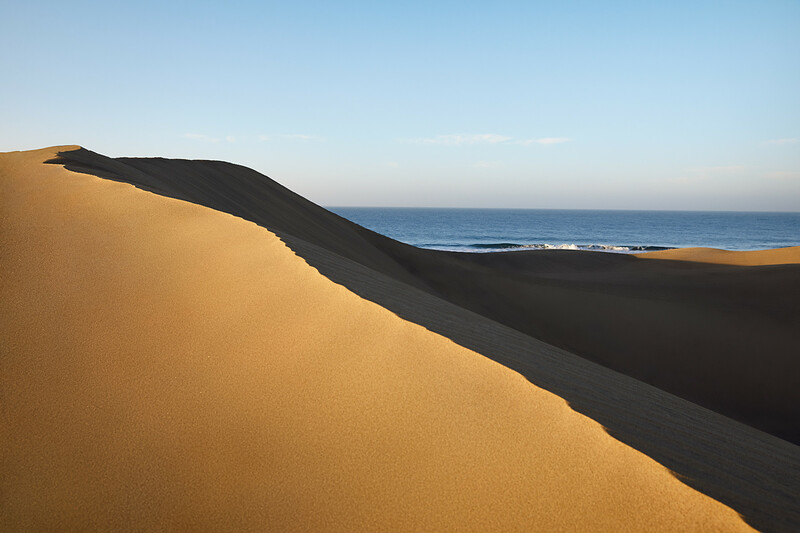 The Dunes of Maspalomas end in Playa del Inglés, one of the most touristic places in Gran Canaria, where you can spend any day of your holidays enjoying the most summery side of the island. 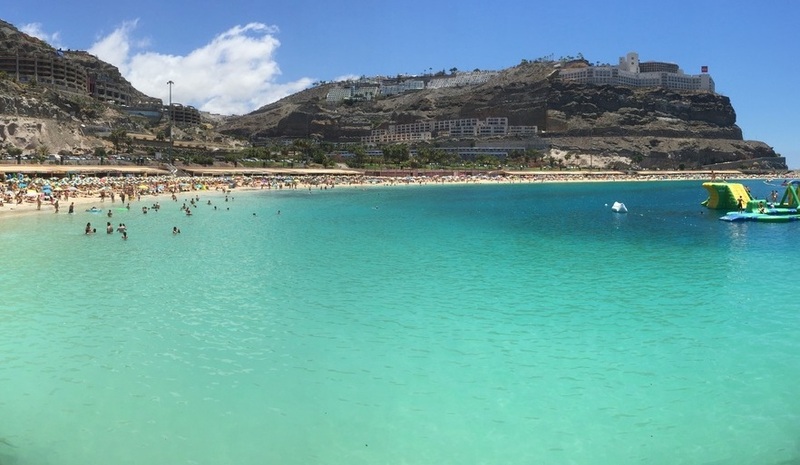 Located in the south of the island, this beach of white coral sand and crystal clear waters is one of the most frequented tourist centres in the whole of southern Gran Canaria. Enjoy the rest you deserve with a refreshing swim. Then, delight your palate thanks to the impressive services of the area, such as the restaurants surrounding the beach, to bring you closer to the best of Canarian gastronomy. The most famous beach of the capital, located in the northeastern part of the island, has always welcomed the inhabitants of Las Palmas de Gran Canaria. Tourism in Gran Canaria can be enjoyed away from the busy south of the island in a beach approximately 4 kilometres long where, as we approach its end, we will witness how it is presided over by the spectacular Alfredo Kraus auditorium. The sand goes from the most paradisiacal blond to the most volcanic black in the area of La Cícer, which is one of the best beaches for surfing in Gran Canaria. Those who love hiking, nature and pure air in the countryside are in luck, since Gran Canaria has unique and spectacular corners that will make excursions to these places unforgettable memories. If you decide to come to Gran Canaria you’ll know incredible places. 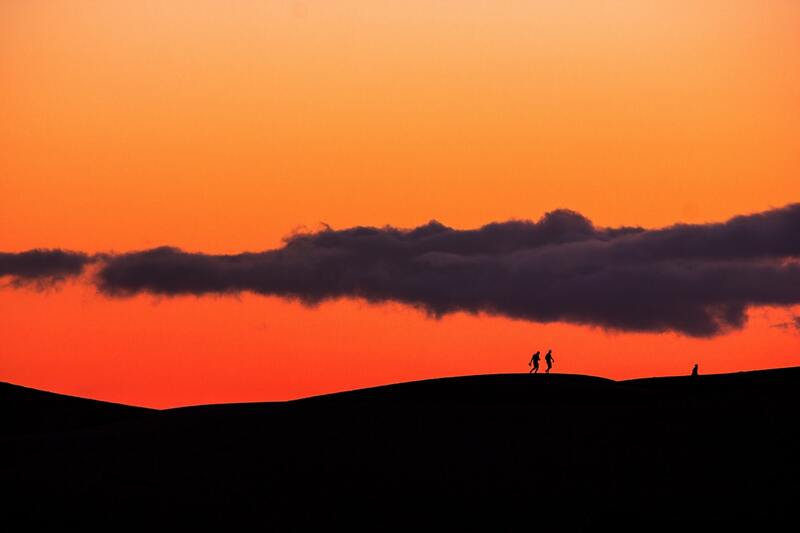 The giant that rules the island is an impressive natural monument which, in turn, is one of the most characteristic icons of the Canary Islands. Getting there while driving through a beautiful route will give you one of the most beautiful views of the whole island. 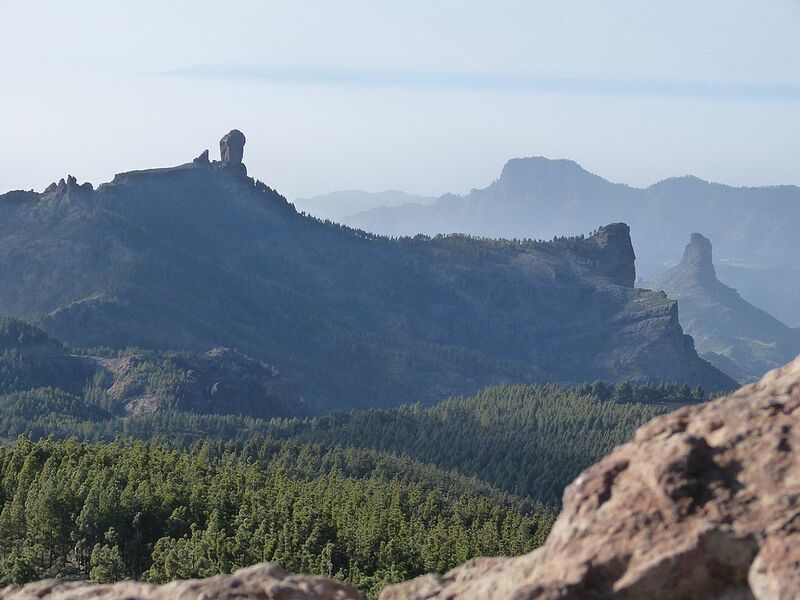 The Roque Nublo Natural Park is a 26,000 hectare natural park in west Gran Canaria contains 30 small villages and is the island's largest natural area and a Biosphere Reserve. Feel another kind of tourism in Gran Canaria with an easy access via several roads from up from the north and west of the island and these go past the parks viewpoints with fantastic views of the area. Undoubtedly, one of the most beautiful villages in Spain and the highest on the island, located around 1200 meters above sea level. Rurality and tradition go hand in hand to offer a wonderful day in the midst of nature, beauty and calm in an unbeatable area of the island. The viewpoint of Pico de las Nieves, the highest point in Gran Canaria, is 1949 metres above sea level. Thus, you’ll enjoy views that will make you feel first hand the the natural beauty of the island. Get to know the famous sea of clouds that covers the ravines and leave an unforgettable memory engraved in your memory. One of the keys to tourism in Gran Canaria is its impressive climate. With nearly 300 days of sunshine a year and an average temperature of 24 degrees, the island is synonymous with eternal summer. The temperature is very pleasant, so it is perfect for spending a day on the beach but also to enjoy a hiking route through the interior of the island. Gran Canaria is a fantastic destination where you can sail out to watch whales, walk in the Canary pine forests, have fun at a waterpark, wander its shopping streets, visit museums, or... just relax on a beautiful beach. As you already know, a holiday is not a holiday if you don’t enjoy an accommodation that lives up to your expectations. For this reason, the best way to enjoy your holidays in Gran Canaria is resting in one of the best hotels to renew your energy after each day on the island. Luckily, in the south of the island you will find the best hotels so that you can choose the one that best suits your needs. These are our recommendations, all of them varied, that will make you enjoy your holidays in Gran Canaria to the fullest. Don Gregory by Dunas is the ideal place for relax thanks to its impressive services and location, which make it one of the best beachfront hotels. You will be able to enjoy an excellent spa, have a select cocktail in an impressive terrace, live the climate in a solarium or take a bath in its wonderful infinity pool. Tourism in Gran Canaria will be different if you stay in rooms provided with the best services and a renewed Nordic style that will give you the necessary rest and calm in your trip to Gran Canaria. Suites & Villas by Dunas and Maspalomas Resort by Dunas have impressive villas and bungalows with the best accessories and services to give you all the privacy and tranquility you were looking for. You will feel that you live in a small village very close to the impressive Maspalomas Dunes. Their rooms are ideal for relax and are surrounded by lush, well-kept gardens that converge into impressive swimming pool areas. Mirador Maspalomas by Dunas is one of the best family hotels in Gran Canaria, as it is a dynamic and ideal accommodation to make the most of the island. In this hotel you’ll have everything you need thanks to the incredible variety of services and its excellent buffet with fresh produce and delicious recipes that will bring you closer to the quality of Canarian and Mediterranean cuisine. Places, climate, hotels... tourism in Gran Canaria is one of the many things you will do on your holidays in one of the most beautiful corners of the Atlantic.